The Oregon Humanities Center’s “being human/human being” series continues in late January with two lectures by Dr. Ira Byock, director of palliative medicine at Dartmouth-Hitchcock Medical Center in New Hampshire. During his medical school residency in the late 1970s, Byock witnessed his father’s battle with pancreatic cancer. The experience was transformative, and ultimately led Byock into the fields of hospice and palliative care. He is now one of the leading proponents of compassionate end-of-life care in the United States. Byock has been a consistent advocate for the rights of dying patients and their families, and sees death as central to the meaning and value of human life. In his view, the universal inevitability of death provides the backdrop against which life is lived, and demands that we carefully consider our values and life choices as individuals, family members and communities. In his Eugene lecture – “Mortality, Morality and the Meaning of Life,” at 7:30 p.m. Thursday, Jan. 24, in 282 Lillis Hall – Byock will argue that the precarious nature of life asks all of us to consider the question, “How then shall we live?” He believes everyone has the capacity to respond to death in creative and caring ways that express essential human values and create meaning. Byock’s second Oregon lecture – “The Best Care Possible Through the End of Life: What It Is and How to Get It” – will be at 7 p.m. on Friday, Jan. 25, at the UO Portland, White Stag Block, 70 NW Couch St. Everyone wants the best care possible for loved ones and themselves through the very end of life, but one size does not fit all. Innovative thinking is required as the health care system and society strive to respond to unprecedented demographic and resource challenges. Byock asserts that by supporting families, strengthening communities and fostering cultural change, the best care really is possible. Each lecture is free and open to the public and will be followed by a book sale and signing. View live-streaming video of the lectures at ohc.uoregon.edu. For more information, contact ohc@uoregon.edu or 541-346-3934. 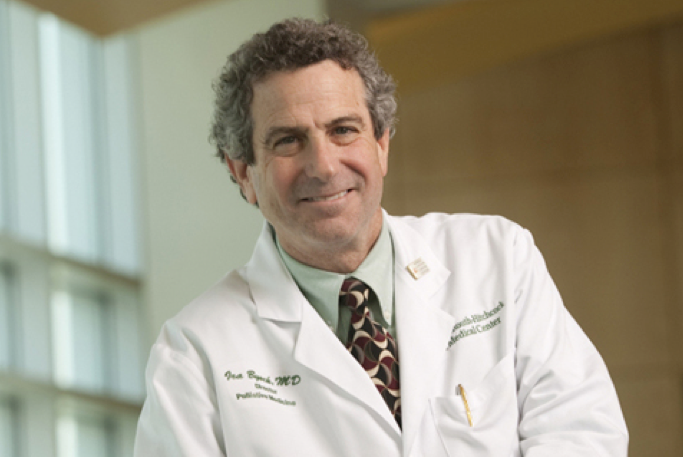 In addition to being director of palliative medicine, Byock is a professor of anesthesiology and also of community and family medicine at the Geisel School of Medicine at Dartmouth. During the 1990s he co-founded the Missoula, Montana Demonstration Project – a community-based program dedicated to research on and the transformation of end-of-life care, with the goal of creating models that could work on a national level. Byock has authored numerous articles on the ethics and practice of palliative care and hospice. His first book, "Dying Well" (1997), has become a standard in the field. "The Four Things That Matter Most" (2004) is used widely as a counseling tool by palliative care and hospice programs. His most recent book, "The Best Care Possible" (2012), tackles the crisis that surrounds serious illness and dying in America, and details Byock’s quest to transform care through the end of life. Byock’s UO visit, hosted by the Oregon Humanities Center, is made possible by the Tzedek Lectureship. His talk is part of the Oregon Humanities Center’s “being human/human being” theme, which offers a fresh look at the human condition – body, brain, heart, soul.